The kitchen was well equipped, metro station to airport is 4 steps far from the building. Comfy bed, plenty of pillows, in-room facilities (microwave, kitchenette, dishwasher, cutleries and dishes, towel warmer, ironing needs). Super clean bathroom. Great water pressure to the shower and taps. It makes us feel like home. 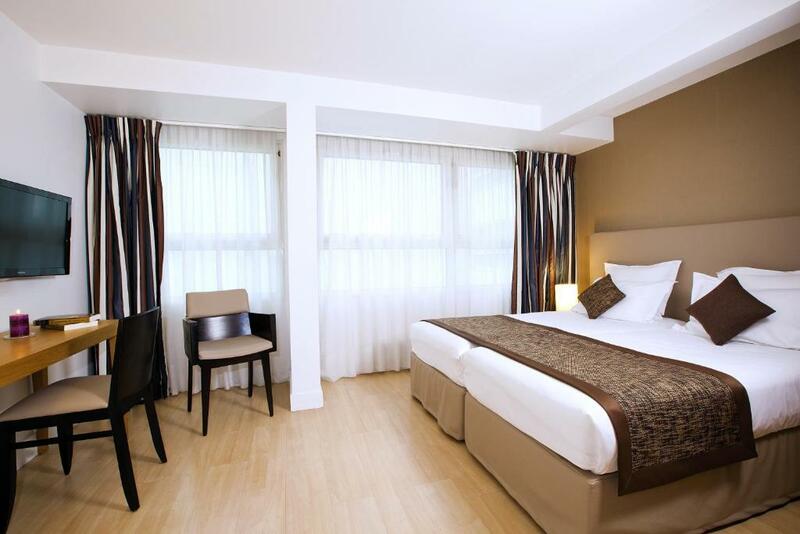 We've got a studio large for 3 persons. Staffs were very helpful sometimes even going further than the designed job area especially Priscilla. Were given a perfectly quiet room not facing the main street. In a great district and so close to the metro and market right across the street. The location is superb, and the staff is very helpful. The room was pre warmed with a small electrical warmer which really came in handy. 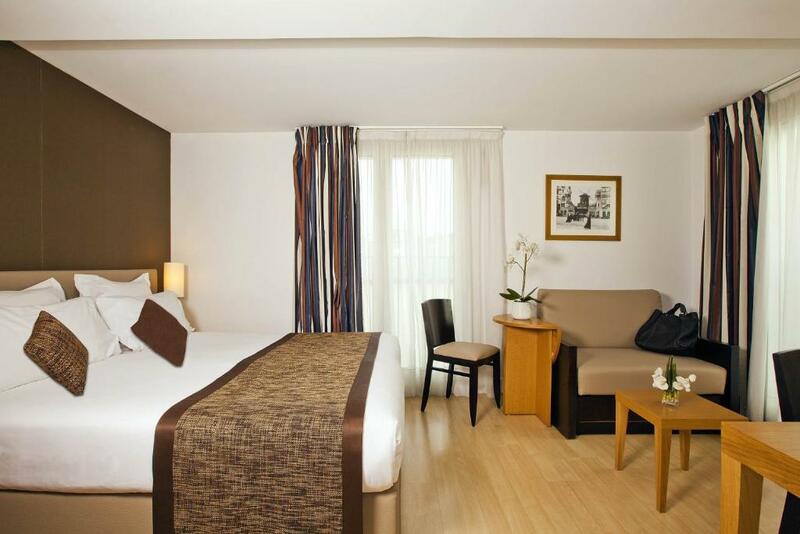 The bed is so comfortable and clean, and I really enjoyed my stay. 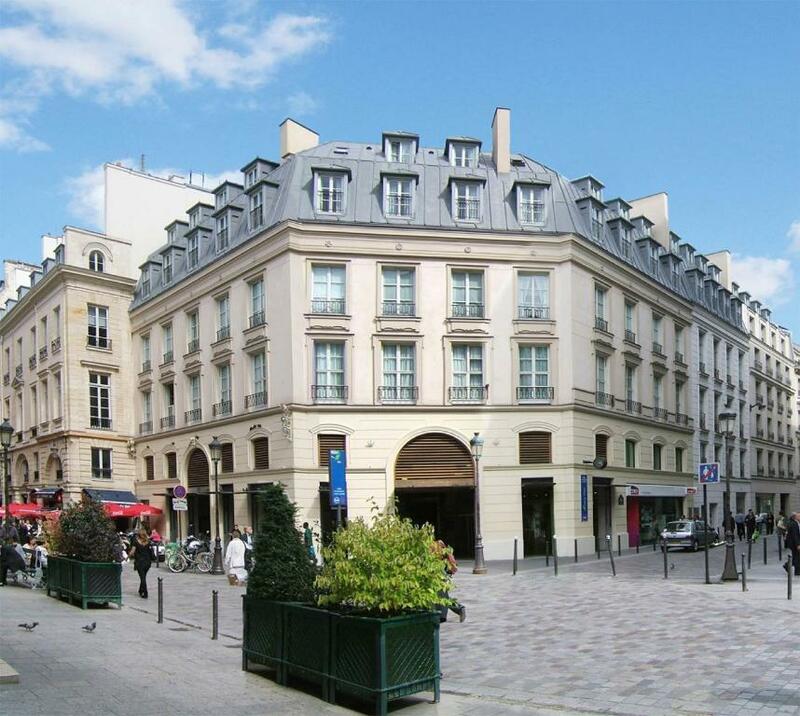 Location is great, next to the big shops and st Lazard station. It’s good to have the little kitchen. Location is great very close distance to the Resto and the church. The moment we went out from the train station, turn left, and ResidHome was there! It was so close. And the metro stations are allin around 50 m or so... so everything is so strategically close by! We were so blessed! I love the fact that the room was super spacious! We booked the large studio, and owh my we loved it! the sofa bed was bigger than we anticipated, and my daughter enjoyed "swimming" alone on the bed. The check in was a breeze, and the Kenya our receptionist was very helpful. She speaks great english, and was very informative. I loved the kitchenette so that we can cook for our little one and breakfast! They did not refil the coffee and sugar but it was okie, Monoprix Supermarket is just across the street! 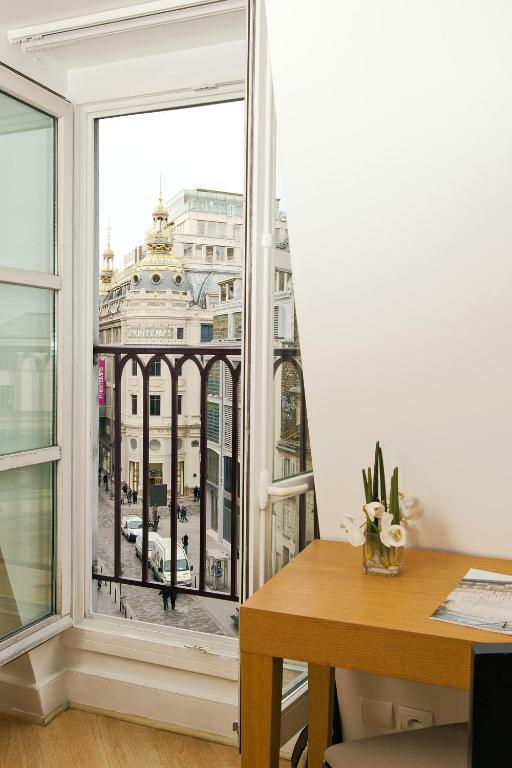 Lock in a great price for Residhome Paris Opéra – rated 8.3 by recent guests! 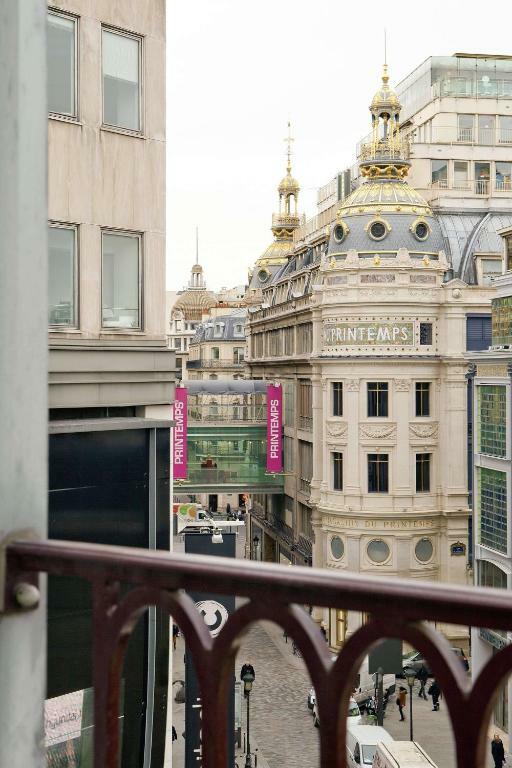 One of our top picks in Paris.In the heart of Paris, Residhome Paris Opéra is 1,300 feet from Opera Garnier and 1,150 feet from the the famous Galeries Lafayette. Saint-Lazare Metro Station, which leads directly to Porte de Versailles Exhibition Center, can be found 1,300 feet away. 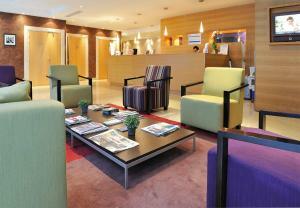 Free WiFi access and a flat-screen TV are provided in each air-conditioned studio or apartment. A kitchenette with dishwasher, microwave and tea and coffee making facilities is included in each accommodations.The private bathroom has slippers and a hairdryer. 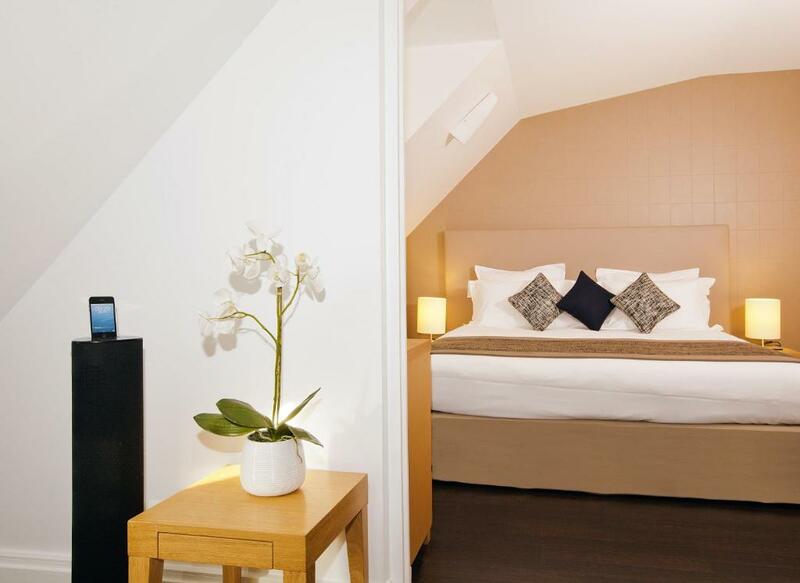 With light wood floors and contemporary neutral decor, this Residhome has good storage areas. Bakeries and supermarkets are located within 650 feet of the Residhome. 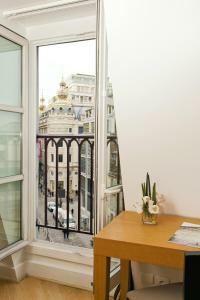 When would you like to stay at Residhome Paris Opéra? 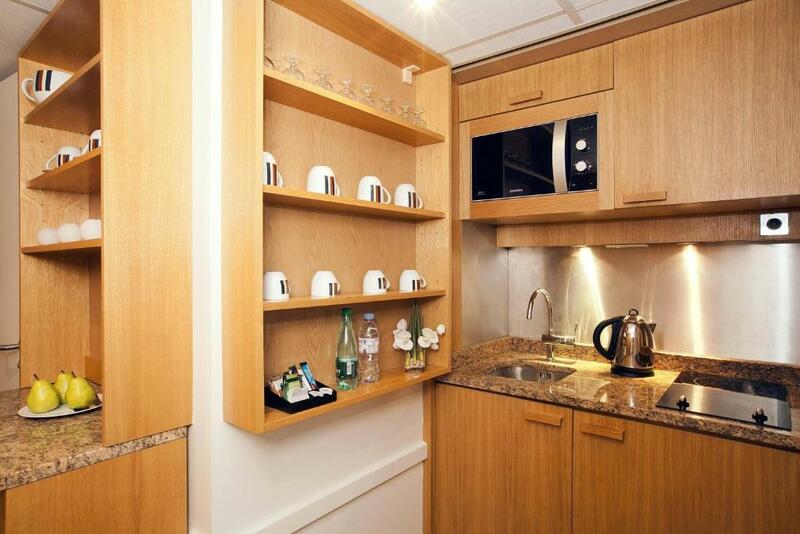 Kitchen facilities, satellite TV and free Wi-Fi access feature in this air-conditioned studio. Self-catering facilities, satellite TV and free WiFi access feature in this air-conditioned apartment. This studio has a satellite TV, dining area and dishwasher. This apartment features a microwave, cable TV and stovetop. This studio has a dishwasher, air conditioning and stovetop. House Rules Residhome Paris Opéra takes special requests – add in the next step! Residhome Paris Opéra accepts these cards and reserves the right to temporarily hold an amount prior to arrival. Accommodations is cleaned every day. Breakfast is served from 07:00 to 10:00, Monday to Friday; and from 07:30 to 11:00 on Saturday, Sunday and bank holidays. airco in the room did not work, leaving us in 25+ degrees Celsius room with a baby. Staff told us it was a very complicated system and one of them would turn on the airco, that person turned on the heating instead... There is also NO Parking on site, there’s an expensive public parking in the area. Room is small and price is a little bit high. 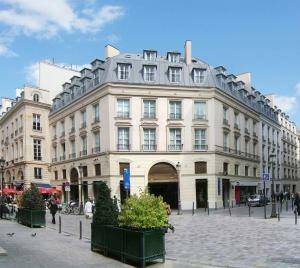 Its a great location and easy for you to go around Paris. Everyting is so close and the staff are friendly! Cupboards and wardrope is old , some changes can be made for furniture. Couldn’t open the second window and the air conditioning wasn’t great so it got very stuffy in the room. The lift takes forever to arrive and the room was small however this is standard in Paris. The staff and location more than make up for anything that may lack! The loveliest and most helpful staff in Paris. Great location, cooking facilities and well equipped kitchen. Comfortable beds. The kitchenette was well equipped, but where to eat? There was no table: only a desk stuck in the corner between the kitchenette cabinet and walls with a tv screen literally in front of my eyes. I didn’t feel like eating there. So much for the kitchenette. Also, there was no main light in the room: only two bedside lamps and a small one at the kitchen stove. It was too dark at night. The room had a cozy atmosphere and the bathroom was good with a big bathtub. The male receptionist was exceptionally nice; quick in response to my request to fix a thing and even gave me a call to tell me when the mechanic would come to my room. Rare in France (no offense). The very best location for Paris sightseeing. The room is big enough even it was center of Opera district. 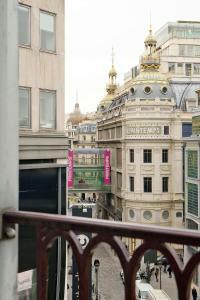 Near to Metro St Lazard also 5min walk from Opera Garnier where the Roissy Bus arrives. Staffs are very kind, one staff kindly printed out my ticket to Versille. We shall stay the hotel next time in Paris. Room was smelling cigarrettes and very humid. Even after complaining with house keeping staff, who didn't make an effort to understand my English, the problem was not fixed. I left after 2 nights and all my clothes were still smelling cigarrettes! The elevator. There is a single one in the facility and you need to wait for a while to up or down. 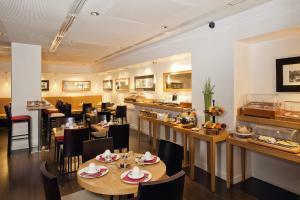 The location is excellent and the staff is helpfull.